Looking for an inventive wall decor idea? 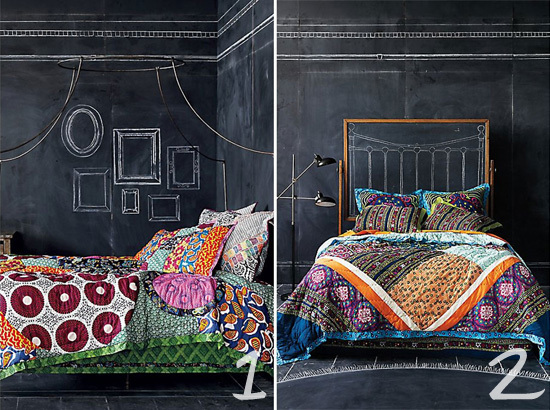 These chalk board walls are amazing! 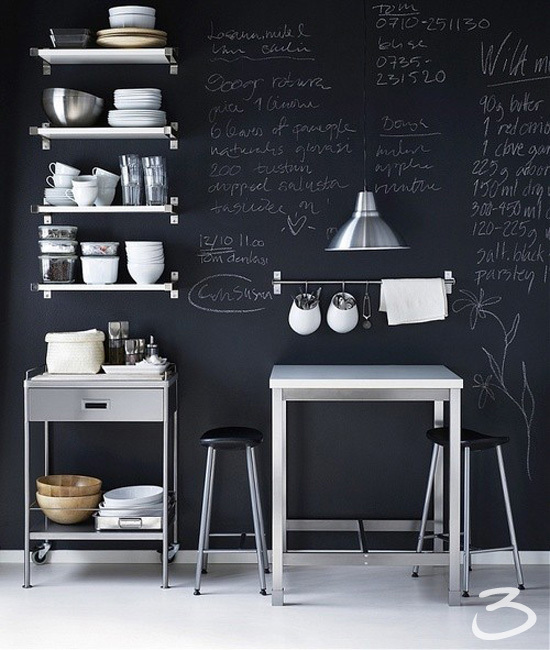 I mean how awesome would it be to simply jot down recipes on your kitchen wall and have it look like art? I absolutely love Anthropologie's chalk board headboard, and am considering trying to create my own...if only I could move the rather large window that currently sits directly above my bed. 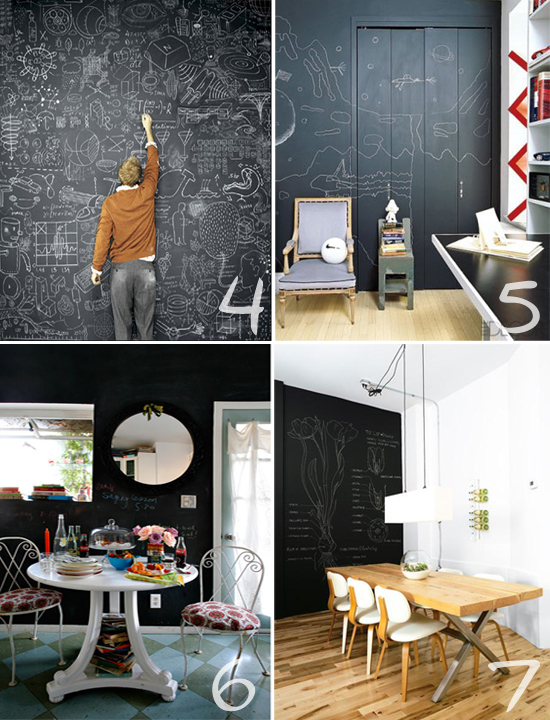 After seeing these ideas I immediately wanted to go buy a bucket of chalk board paint and get to work. But unfortunately, we are currently living in a rental (the job my husband is on should only last about a year so we didn't want to get stuck trying to sell a house in this market). So for now I will be improvising...look forward to seeing some sort of chalk board project soon! Photos: 1&2 Anthropologie, 3 Knack, 4 Apartment Therapy, 5 Elle Decor, 6 home-designing.com, 7 Wicker House. I know the perfect solution! I found a way to put up temporary wall paper with liquid starch and you could paint over it with the chalkboard paint) and when you're done you just spray the wallpaper with water and it peels off without messing up the paint! I have wanted that Anthro canopy bed forever it seems. Well to be honest I have wanted anything and everything from there...forever! Andrea did you know if you have an ID business card you get 10% anything home? Its awesome. u should so paint your walls with chalkboard paint that would be AWESOME!